Having just written about elderberry vinaigrette, I found myself chock full of elderberry recipes and ideas for this easily forageable food. Some of these ideas found their way to Great British Chefs today, and now they find their way here. Enjoy, and let me know if you have any other elderberry recipes ideas to share! We often think of elderflowers when it comes to the elder plant, Sambucus nigra. But the berries that result from those elderflowers are well worth gathering, too. Elderberries have been used for centuries for their healing abilities. The classical healers used elderberries to treat numerous ills, from asthma to arthritis, and today the berries are commonly considered a natural remedy for cold and flu. There may be some merit to this; elderberries are high in flavenoids which are thought to protect the body against cell damage. But nutritional benefits aside, elderberries actually taste pretty good, too (when prepared correctly), and are well worth foraging in the hedgerows. The easiest way to pick elderberries is to gather them in bunches, then use a fork to prick off the berries into a bowl (some of the stem might remain in the berries but for most recipes this doesn’t matter). Elderberry “Balsamic” Vinegar – Elderberry vinegar is delicious as glaze for beetroot; it also makes a wonderful elderberry vinaigrette for salads. Elderberry Dutch Baby – Just add a handful of elderberries to the batter. We did this during equinox and it rocked our world. 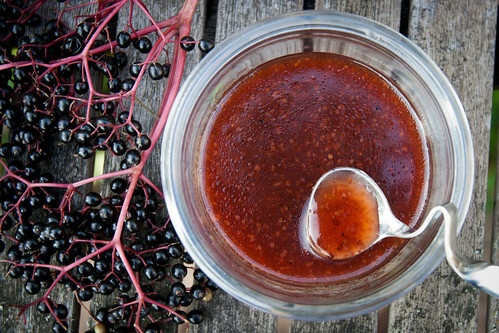 Pontack Sauce – An old English sauce made with elderberries and spices with origins going back to the 17th century. Elderberry Cordial – This is particularly tasty when drunk with hot water as a tea. 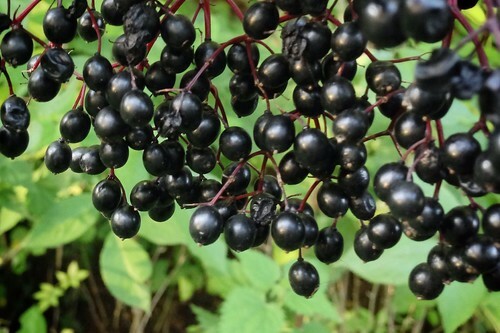 Elderberry Jelly or Elderberry Jam – Or combine elderberries with other hedgerow goodies like blackberries and crabapples and make a hedgerow jelly. Elderberry pie – pastry-encased elderberry; how can you go wrong? Elderberry liqueur – if you like tawny port, you’ll like this. Elderberry Wine – A bit more involved than the above recipes, but the upshot: you get wine at the end of it! 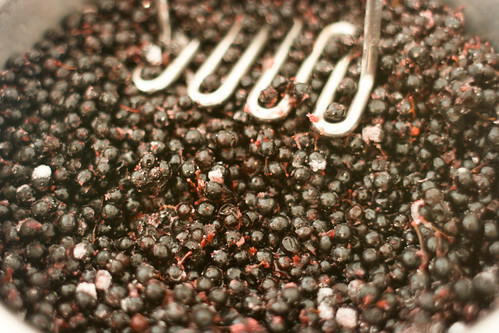 Perhaps the best place to start with elderberries is by making a simple elderberry syrup. 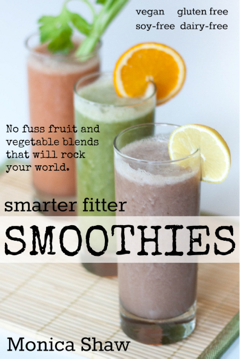 The recipe is easy and the result is delicious and super versatile. Put the elderberries in a large pot with the water. Bring to a boil, then reduce heat and simmer for 15-20 minutes, until the elderberries tender and soft. Pass through a food mill or push through a fine sieve, then discard the skins. Pour the juice back into the pot, add the sugar and simmer for 15 minutes, until the syrup has thickened. Add a squeeze of lemon juice, then leave to cool. Once cool, pour the juice into a bottle and store in the refrigerator.